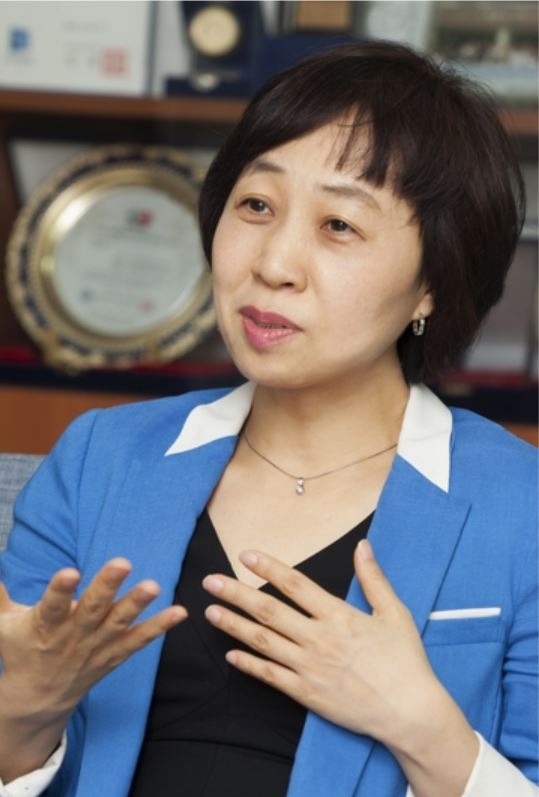 The Gyeonggi Women’s Development Center Director Cho Jung-ah became the first Asian (excluding Asian-Americans) to receive an award from the National Career Development Association, the leader in developing standards for the career development profession. The 100-year old association recognized Cho’s endeavors and achievements in the field including the development of the Online Career Coaching Service. Too busy handling issues regarding the recent ferry disaster and providing the newly elected governor of Gyeonggi Province with a briefing about the center, she sent someone else to accept the award. Cho paid tribute to her staff and public officials of the Gyeonggi Provincial Government. It sounded like a cliche until she explained how much her partners contributed to creating the Online Career Coaching Service which required a huge budget. The center provides a whole new career coaching service by incorporating information technology, e-learning, and an index that indicates the possibility of employment into the system. Said to be the first of its kind in the world, the system got the United Nations Public Service Awards and the Learning Impact Awards, the global competition that acknowledges effective use of e-learning. The online career development center ‘Dream Wings’ which provides e-learning, online career coaching, and learning counseling has 460,000 members. Last year alone, the number of people who used the Dream Wings services amounted to 140,000. Starting a project without a model to benchmark against nor eradicating deeply rooted gender stereotypes was an easy task. “Since its inception in 1997, the center has faced much opposition. Parliamentary records suggest that some members of the National Assembly said ‘Why do we need to educate housewives?’ or ‘Career development education will only encourage more couples to get divorced!’ or ‘Just train women to become a good wife and wise mother.’ Moreover, back then, we were not familiar with the term career discontinuity. After working day and night, Cho and her staff came up with the Online Career Coaching Service, incorporating gender equality into professional development content. Cho was involved at every stage of the process including the development of system, web content, curriculum, and illustration. It is no coincidence that Cho took the lead in introducing gender-neutral e-learning content. Having acquired Master’s and Doctor’s degrees in Women’s Studies at Ewha Womans University, she worked at the Korean Women’s Institute for five years. Also, she participated in a movement to raise public awareness of the issue of comfort women. It was in 1997 when she first started working with the center. Despite her original plan to take the doctoral course after serving as a public official for three years, she has been working in the field for 17 years during which she has transformed the center into a women’s career development center, a coworking space specialized in supporting female entrepreneurs, and a rehab center for internet and smartphone addiction. “We want to promote our brands like Dream Wings and help women realize their dreams. Just as stated in our vision, we hope that women would embrace the underprivileged across the world, going well beyond pursuing their personal or family goals.